*Spoilers* Share all KH3 videos & photos here! 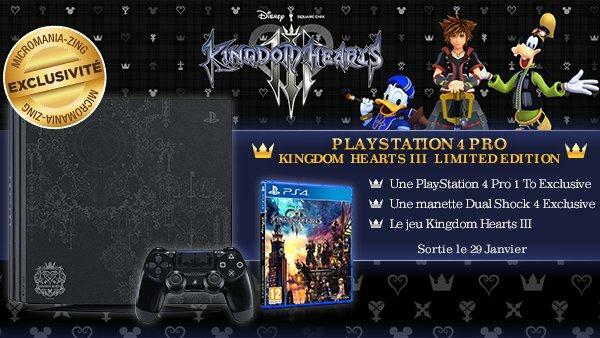 Micromania, a French retailer part of the GameStop brand, have announced that they are starting pre-orders for the Kingdom Hearts III Limited Edition PlayStation 4 Pro! In-store pre-orders will be available from tomorrow. The console will come with the Deluxe Edition of the game according to the tweet below. Furthermore, there are many options to buy the bundle, including trading in a pre-owned console; the price for the PS4 Pro bundle starts at €219.99 and varies according to how it is purchased. I personally enjoyed how the chat roasted the guys who presented the games and Amazon in general. It was rage, it was chaos, and it felt good. The amount of viewers decreased by half, karma stroke back. Alyson Stoner comments on voicing Kairi in Kingdom Hearts III: "This was the most fun out of all of them...You'll see why!" I don't remember any of their voices. Can someone put a link to clip of each of the voice actresses? 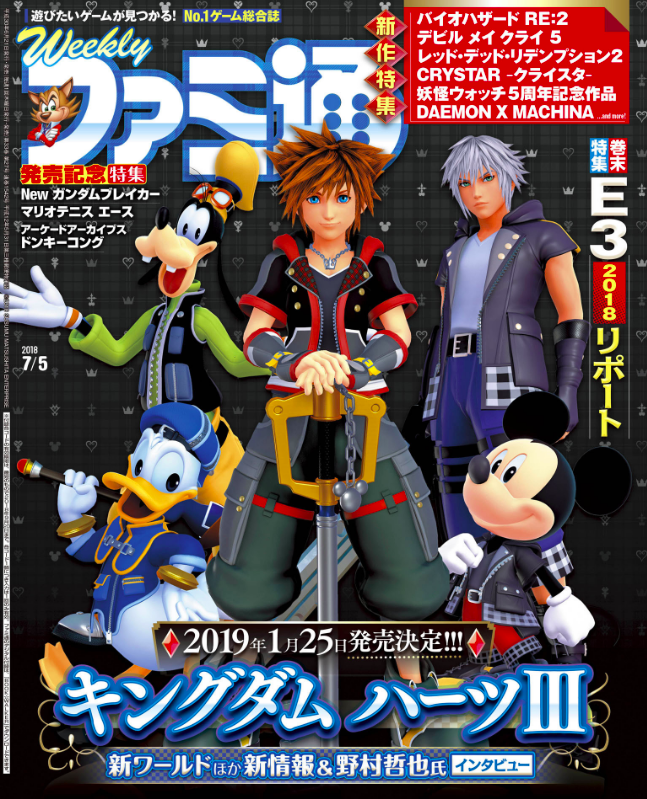 Kingdom Hearts III will be featured on the first July issue of Weekly Famitsu, to be released on June 21, 2018! This issue will include Kingdom Hearts III on the cover and an interview with series director Tetsuya Nomura. The blogs Hokanko(Alt) and Hachima have posted summaries of the information regarding Kingdom Hearts III coming in this issue. The following is new information we have extracted from Hokanko(Alt). Translations were provided by KH13 Staff Mio-chan and Keytotruth. In the Pirates of the Caribbean world, the box in the second movie, Dead Man's Chest, is linked to the black box that Maleficent and the "true" Organization XIII seek. (Note: By the box in the second Pirates movie, they are most likely referring to the Dead Man's Chest itself.) The "Remy's Delicious Restaurant" mini-game can be played in Twilight Town. Tangled's world has a rhythm-based mini-game (seen previously in the exclusive Kingdom Hearts Orchestra trailer in Los Angeles). Everything the staff has been suggesting has been mostly implemented. The Classic Kingdom is a project By Nomura himself; he wanted to create and add as many mini-games as possible. 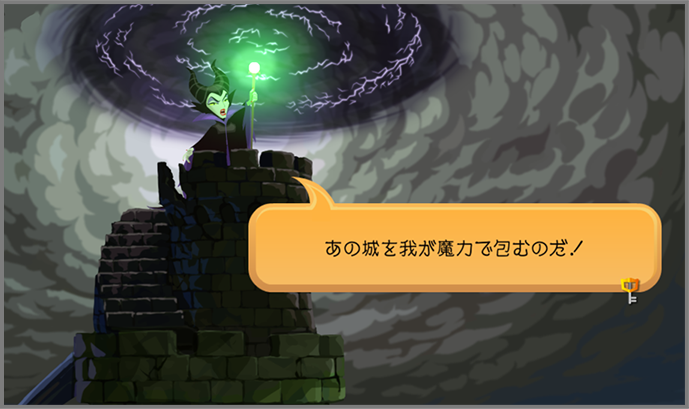 Nomura talked about Situation Commands, Attractions, Links, and invoking Dream Eaters. Even if it’s for running around, Nomura thinks that having the game in hand can be fun. Using Situation Commands, strategies can be planned within a limited time. It doesn’t matter if you use the Situation commands while you’re unfamiliar with them, just press buttons and try them! Attractions are activated under certain conditions, in certain places and according to the previous command. Even if you don’t intend to use the Keyblade's new system, it remains fun as you can perform various techniques. If you’re skilled enough, an efficient strategy can be established. You can experiment different actions through their transformations. Non-transformable Keyblades perform special moves. The Kingdom Key allows Sora to use techniques he used in the past. Links have been changed several times, and the shape of Disney characters’ borrowed power is yet to be decided and are named when you settle to use them in combat. Not only are characters from previous opus along with their skills back, but the player can also intervene when linking with them. The Summon system allows you to call a Meow Wow and all kinds of Dream Eaters. All of them couldn't make it into the game, but with the Link you can make a lot of Dream Eaters appear. In this game, Sora has less decorations to match his more dynamic action and active image. Nomura affirms that Sora, Riku, and Kairi's outfits match each other slightly, eg. all have plaid. Vanitas resurrects, and the other Organization members, after turning back into humans, once again turn into nobodies and resurrect in a different way. The ones that collaborated with Sora resurrect the way they are. The place where Lea and Kairi are training is a new location where you can't go to. Aqua has surprised everyone more than expected. The King and Riku appear in a scene where they are in trouble. Aside from Aqua, there are a lot of other characters that will have everything explained about them, so writing the scenario was very hard. A secret movie for Kingdom Hearts III has been made, but is not finalized yet. (Note: This is likely referring to an unlockable secret ending for the game, eg. "Another side, Another story..." and "The Gathering".) It's difficult to give a figure for percentage completion at the time. A major concern for Kingdom Hearts III is its high volume being met by capacity shortage. This is exacerbated by some cut-scenes that are being made into movies for load time reduction, but consequently require more capacity than expected. Lip sync data is also a concern; switching between Japanese and English audio is very tough. A Final Mix version isn't under consideration since there's also the problem with running out of space. Nomura has plans to release updates as DLC, so even if they do that, it won't be a Final Mix. About DLC, they haven't decided on details, but Nomura wants it to be something that expands the ways you can play in. They won't be working on that until they are finished with the main game. Hachima's summary also included the above points, and also mentioned that the world of The Caribbean is set during Pirates of the Caribbean: At World's End, but the story from Dead Man's Chest is touched upon in synopsis. We will be updating our translations as well as reporting on the Kingdom Hearts III feature on Famitsu Weekly, which will release tomorrow (in Japan). Keep an eye on our website, as well as Twitter, Facebook, and Tumblr for updates! Update [Jun 20, 2019]: The July 5 Weekly Famitsu issue is now out! Check out the scans below. We will be providing translations soon! Let us know your thoughts on Kingdom Hearts III's secret movie and the possibility of dual audio in the game! Kingdom Hearts III releases on PlayStation 4 and Xbox One on January 25, 2019 in Japan, and January 29, 2019 to the rest of the world. You can now watch the latest Frozen trailer, Square Enix E3 Showcase trailer, and Pirates of the Caribbean trailer! A walkthrough of quests 806 through 810 in the Japanese version of Kingdom Hearts Union χ is now available. Quests 806 through 810 are all set in the Enchanted Dominion. This video walkthrough has been provided thanks to Everglow and with translations thanks to Catherine Mueller (nichiei.translations@gmail.com) and can be watched below. What do you think of the events in these quests? Let us know in the comments! A walkthrough of quests 751 through 760 in the global version of Kingdom Hearts Union χ is now available. 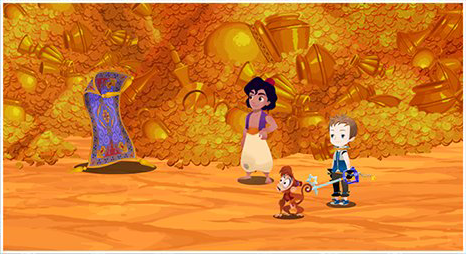 Quests 751 through 760 are all set in the Cave of Wonders, in Agrabah. This video walkthrough has been provided thanks to Everglow. It can be watched below. What do you think of the events in these quests? Let us know in the comments! How Old Were You When You First Played Kingdom Hearts? I've played at KH Dream Drop Distance (my first KH game) for the first time back in 2013. What will you do when you have Kingdom Hearts III? Yeah I'll probably stay away from Twitter, KH13, KHinsider and Youtube so I won't be spoiled by any means. I will invite my friend to play the beginning of the game with her And of course I will take my time and enjoy every second of it. We all earned it! And I think I will buy myself the collector edition, if one come up. So, did you enjoyed the event and its news? All the team and translators worked very hard! I’m keeping my expectations low too @Nero Kunivas. I hope we are surprised too, but I am expecting a world announcement or something like that overall and maybe some more story with a trailer.